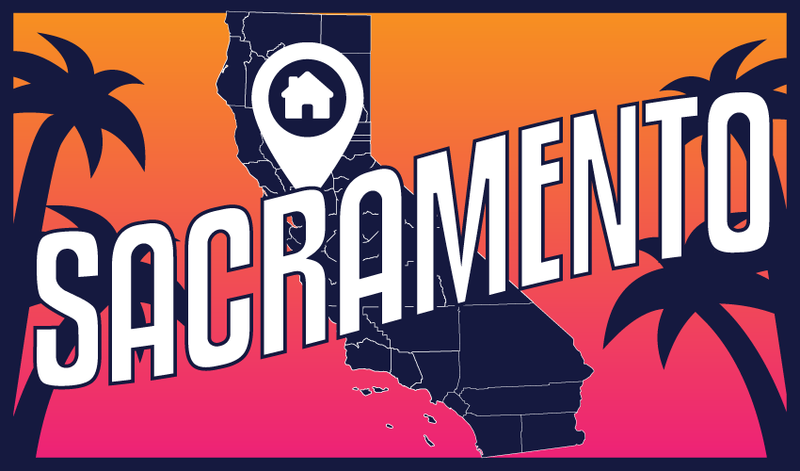 Sacramento County, encompassing California’s capitol and cities like Elk Grove, Citrus Heights and Folsom, is home to the California Department of Real Estate (DRE). This region is emerging from an elongated economic recovery following the 2008 recession. Home sales volume and construction have stalled, while homeownership recently peaked. 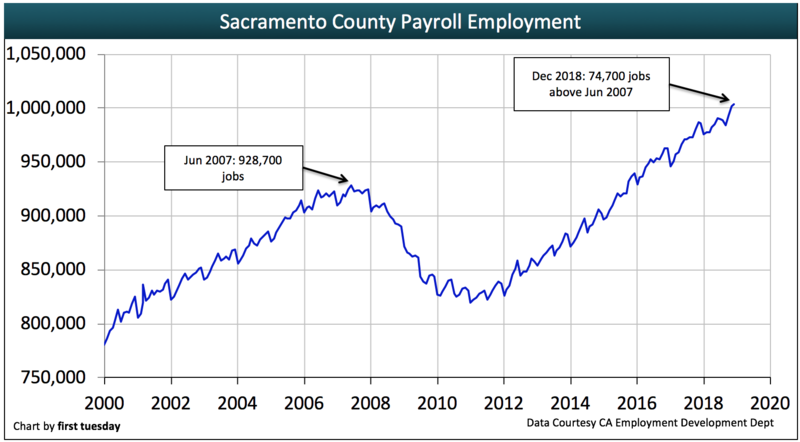 Sacramento was one of the last counties in California to reach an initial pre-recession jobs recovery, and still needs to catch up with population gain. Its lagging recovery can be attributed partially to Sacramento’s dependence on state and local government jobs, which were slow to return. At their current pace of additions, jobs will rise to meet the region’s population increase in 2019, fueling wallets and in turn household formations. However, this recovery will soon be followed by the next recession, forecasted to arrive in 2020. Therefore, expect the next construction boom to be delayed as builders meet rising demand in the years following the recession, likely around 2021-2023. Get to know Sacramento’s local housing fundamentals in the charts that follow. Updated March 7, 2019. Original copy posted October, 2015. 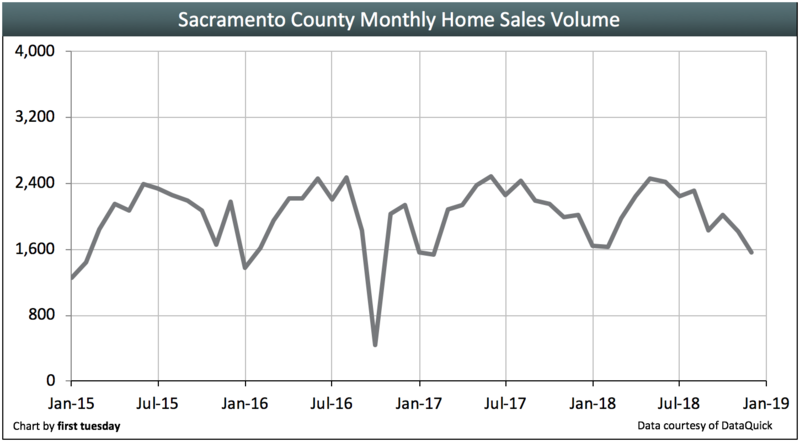 Home sales volume in Sacramento County has steadily increased in recent years, bucking the statewide trend of flat sales volume. Total 2017 sales volume was nearly 10% higher than 2016, amounting to an increase of 2,200 sales. However, sales volume fell back in 2018, a decrease of 4%, the same as experienced statewide. Most of this decrease took place in the second half of the year, indicating a continuing, slowing trend. While negative, Sacramento’s decline in sales volume was not as steep as many other parts of the state (for example, Los Angeles, which ended the year 9% below 2017). One reason why home sales volume has fared better is the consistent addition to the for-sale inventory, in the form of residential construction. In California’s expensive and desirable coastal cities, new construction has been held back significantly by outdated zoning laws and not-in-my-backyard (NIMBY) advocates. Not so in Sacramento, where construction is welcome and allows sales volume to keep pace with homebuyer demand. Even so, home sales volume will continue to slow going in 2019, primarily due to homebuyers discouraged by higher interest rates and the continued economic slowdown. 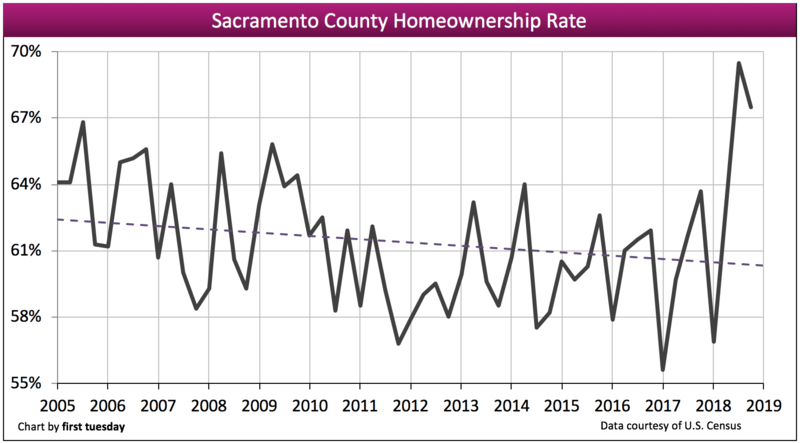 The homeownership rate in Sacramento County varies greatly each quarter, though the general trend was flat-to-down for over a decade — until homeownership jumped to a peak in the second half of 2018, reaching nearly 70%. For comparison, the statewide average was 55% at the end of 2018. The homeownership rate ‘s previous peak was 67% in 2005. Following the conclusion of the housing bubble, many homeowners lost their homes to foreclosure. 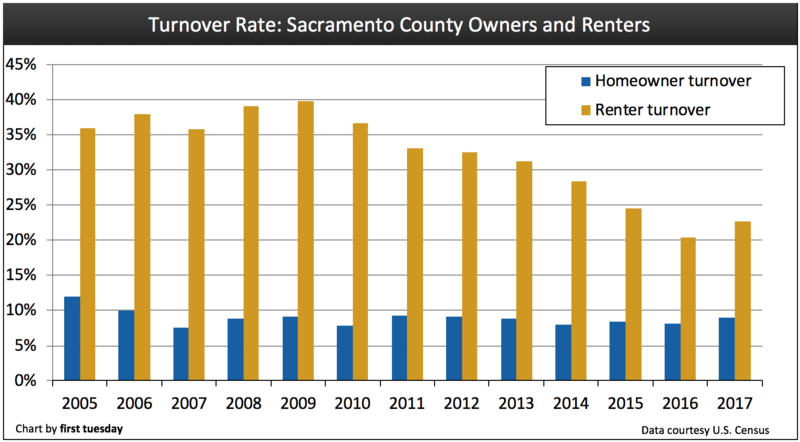 This is pictured in the swift decline in Sacramento County’s homeownership rate experienced in 2010, bottoming at 57% in 2011. Many buyer-occupants have returned to the market since then. The high homeownership rate seen in 2018 is unstable, unable to be supported by market fundamentals. Expect Sacramento’s homeownership rate to fall back in 2019, as rising interest rates and shaky economic conditions discourage homebuyers. Owner-occupants won’t return in solid numbers until Sacramento’s jobs market has a chance to fully recover from the coming recession, likely in the post-recession years of 2021-2023. A real estate agent’s living is contingent on residential turnover. Without it, property doesn’t sell, tenants stay put and mortgage originations go nowhere. The good news is owner-occupant turnover has recently increased to 9.0%, according to the most recent U.S. Census Bureau (Census) data. Owner-occupant turnover (the percentage of homeowners who moved within the last 12 months) bottomed in 2007 just as the Millennium Boom began to explode. Homeowners found the courage to move a bit more in 2008-2009 (due partially to the government stimulus that encouraged homebuying), only to fall back by mid-2010 when the stimulus ended. Since then, turnover by owner-occupants has remained steady at around 8% each year, until rising in 2017. On the other hand, the general trend for renter turnover is down, though more renters moved in 2017 than 2016. Renter turnover peaked in 2009 at a massive 40%. For perspective, that means four out of ten renters moved in 2009 — a significant sum for California. A lot of this turnover was due to former homeowners selling (often by short sale or foreclosure) to buyers who were tenants or to investors who rented to relocating tenants. Renter turnover has fallen each year since, finally rebounding in 2017 to over 22%. Like the homeownership rate, expect homeowner turnover to decrease in 2019-2020. Then, with the support of a healthy jobs market in the years following the next recession, renters will be financially willing and able to become homeowners. Construction in Sacramento County is struggling. In the past couple of years, there have been several months where builders started zero new multi-family or single family residential (SFR) construction projects. Just how dormant has the situation become — and when will things look up? The good news is SFR construction has gradually increased in recent years, having bottomed in 2011 and rising slowly thereafter. 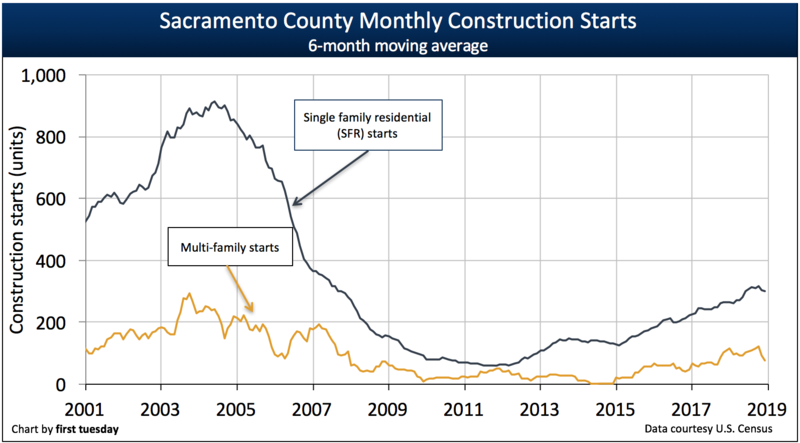 However, this stability isn’t yet the level Sacramento needs since construction has stalled well below the levels experienced during the Millennium Boom. In fact, the peak year of 2003 saw roughly three times more SFR construction starts than the 3,60 SFR starts experienced in 2017. On the other hand, the situation is worse for multi-family construction. Multi-family starts peaked in 2004 with just over 2,800 units built that year. 2017’s performance of 1,300 multi-family units started is a vast improvement over the 620 units started in 2016. However, the number of new multi-family units fell back again in 2018, to just under 900. So when will construction definitively recover? For a hint, check out local vacancy rates. A healthy vacancy rate is about 1.2% for owned homes (for new construction, this generally refers to SFRs) and about 5.5% for rentals (most multi-family construction). In Sacramento, vacancies of owned homes were low, just 0.7% in Q4 2018, reflecting the higher rates of SFR construction. However, the rental vacancy rate was very slightly above normal, averaging 5.7% in Q4 2018, part of the reason for so few multi-family starts. Sacramento was one of the last counties in California to reach a pre-recession jobs recovery. Its lagging recovery can be attributed partially to Sacramento’s dependence on state and local government jobs, which are slow to return. Further, Sacramento’s population has grown about 1% each year since the 2008 recession. With working-aged individuals making up some 60% of this added population, Sacramento will need an additional 50,000 jobs for adequate employment following 2015’s initial recovery for total employment to match population levels. At the current pace of job additions, this will occur in 2019. The recovery in jobs for those in the real estate and construction industries has been slow. Keep in mind that while the chart above shows a steady rise in both real estate and construction jobs, the actual number of construction jobs is displayed at seven times that of real estate jobs on the chart (the chart is displayed in this manner to make the change in real estate jobs perceptible). 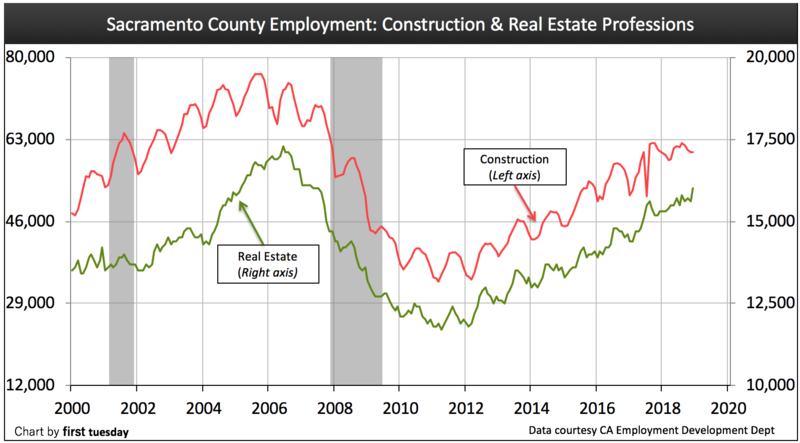 Thus, while Sacramento real estate professionals are 1,600 jobs below the pre-recession peak, construction jobs have much more to regain, at 15,400 below the pre-recession peak. Many, but not all, of these jobs will be restored when homebuyers return in full force. Jobs will rise to meet the region’s population increase in 2019, filling wallets and in turn fueling household formations. However, this recovery will be just in time for the next economic recession to set in. Therefore, expect the next construction boom to be slightly delayed as builders rise to that demand, likely around 2021-2023. 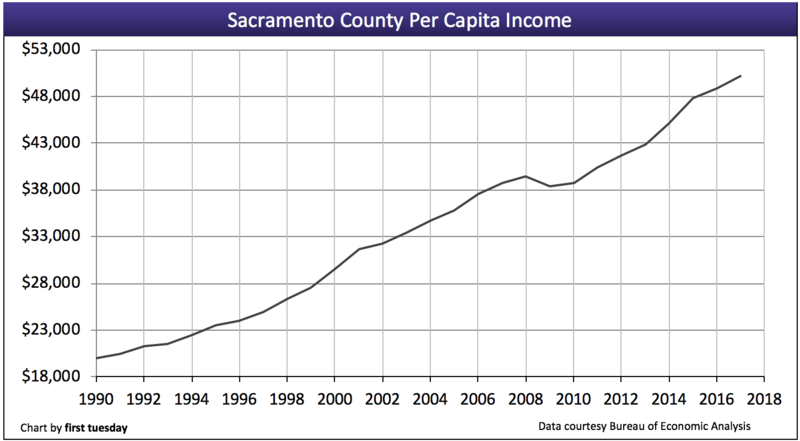 Sacramento County surpassed its 2008 (pre-recession) peak of $39,671 in per capita income just three years after the recession in 2011. In contrast, most of the state didn’t catch up with pre-recession income until 2012. However, Sacramento County’s average income remains over $9,000 below the state average in 2017, an adjustment typical to the region. Government employee compensation is less than state averages but more long-term in duration than the private employment turnover throughout the state. Income finally surpassed the pre-recession pace of around 3% a year in 2015, only to fall back to a meager 2.8% increase in 2017. This is about level with the target rate for consumer inflation. Thus, incomes were able to match the ever-increasing price of goods and services in 2017, granting residents an equal standard of living. individual confidence in the future. Expect incomes to rise beyond the rate of inflation once jobs rise to meet Sacramento’s growing population, around 2019. Then, employers will begin to pay more to answer competition for new employees. This boost in income will add support to a burgeoning housing market, expected to rise to a cyclical peak around 2021-2023. Sacramento real estate prices don’t look like they will decrease anytime soon. Surprising to see this market continue to climb. I would lke to know who is getting the raises, Sacramento is still 20 years behind for the same job in the rest of California. I can’t imagine prices going beyond 350k before we have anouther burst and anouther cover up by the banks setting their own values on Auction homes that are a result of stagnent wages and higher prices for everything form one of the highest tax base in the country to the cost of new shackeled needs like smart phones and old ones like food getting out of controll. You can only split a 20 year old wage so many ways. The people getting raises can spell, and use correct grammar (try grammarly.com before you post next time). I have been looking at relocating to Sacramento. There are lots of jobs, and the wages for my office job are almost the same, but the home prices are much lower in Sacramento. They are allready getting soft, anything over 325,000 in East Sac is just sitting there. Buyers are not buying the old and beaten up for top dollar with new homes competing at the same price point. Not as many will pay top dolllar for a house with a worn out roof and pool with outdated fixtures anymore when they can buy new. 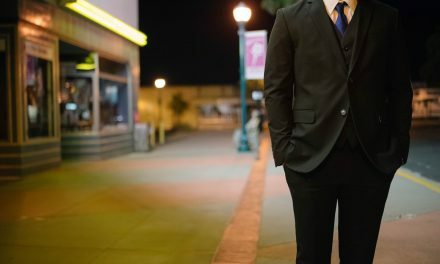 Some of the younger Agents have never seen what the real market looks like with all the artificial market tampering from the big banks casting a wide net over all the forclosures that sit empty or have renters and homeless either babysitting or squatting. Have walked into a few potty boxes in the past few months without warning and seen beautiful homes distroyed by those who are suposed to be taking care of the property but are running off buyers so they don’t get thrown out. And there is the over developed and the “it a sellers market” attitude, not anymore. 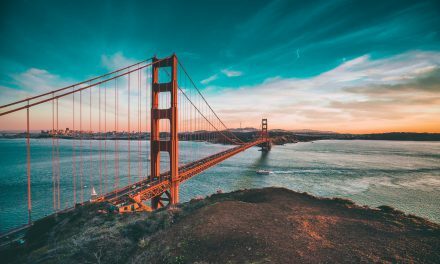 Buyers are still complaining from the last crash and cost of living along with property taxes have risen faster than wages allready low for California. LA is starting to crash and the Bay Area is the next place expected to start to fall. If you look at all the price reductions you will get it. Just follow the bouncing heart on the web and watch everything over 350k sit if it has repairs needed. Sellers got too used to getting away with leaky roofs and dry-rot but if you add it to the asking price it simply dose not make sence to pay 30 k in repairs when you can buy new. If you do a search on Zillow for houses in Sacramento County, look at all of the blue dots on the map. These are foreclosures, or pre-foreclosures (uncheck the box marked “make me move.”) There is a lot of blue on the map! You’re not very wise to be paying an excess of $1,500/month to rent a home in Folsom. It would probably make sense to step down so that you can come up. There are plenty of nice homes in Sacramento where you could afford a home; build some equity and move on. Folsom has nothing to offer but chain restaurants and suburban dullness. Plenty of 20 somethings living in cottage style homes in older neighborhoods throughout Sacramento proper (Not Rancho Cordova or Citrus Heights).